Dodgers pitcher Clayton Kershaw seems like a nice guy. I say that because if I were a famous baseball player, I don’t think I’d be in the mood to snap some pics with two fans right after they slammed into the back of my car. Welp.... I guess that’s one way to end our spring training vacation ... 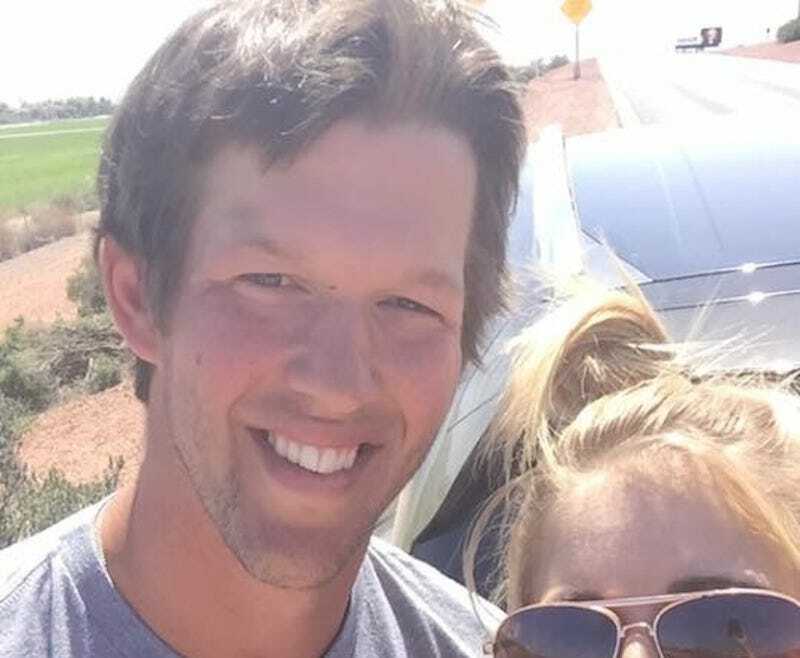 But if you’re going to get in a car accident... Get in an accident with Clayton Kershaw. We are Banged and bruised, but ultimately alright. Thank you Kershaw for being so nice, Arizona highway patrol for dropping us off and Kahl/Guydos family for taking care of us!! She went on to say in the comments of her post that the Dodgers’ ace walked away from the crash just fine, but not before he burned her friend for wearing an Angels shirt.